A high velocity (high speed) / low amplitude (small motion) therapy used to decrease pain and improve range of motion which often produces the familiar “audible crack/pop” typically referred to as a chiropractic adjustment. Although safe and effective, this type of manual therapy technique is rarely needed in most cases. Hands-on techniques that gently move/oscillate the joints of your spine and/or extremities joints that help decrease pain and increase range of motion. Hands-on techniques applied to the skin, muscles and fascia, intended to decrease pain, increase blood flow and increase range of motion. Techniques within this category also include Active Release Technique (ART) and Graston. 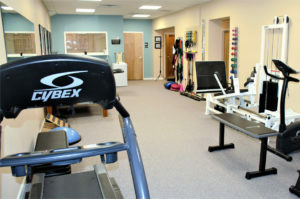 Rehabilitation which effectively helps treat pain and injuries that commonly occur in sports such as: sprains, strains, dislocations, and tendinitis. The goal is to manage pain and injury with a customized rehabilitation program allowing the athlete to return to their sport in a safe and timely manner. Acupuncture is a natural way to treat painful musculoskeletal conditions, without the use of medication or surgery. Most commonly, acupuncture is used for neck pain, back pain and joint pain. 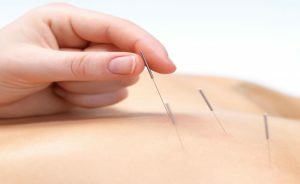 Acupuncture works by stimulating the nervous system. Once the tiny needles are inserted into the skin, signals are sent to the brain where endogenous opiates (the body’s own, painkilling chemical substances) such as endorphins, enkephalins, serotonin and many others are released. Once these chemicals are released, pain is decreased or eliminated. Trigger point massage therapy is specifically designed to alleviate the source of the pain through cycles of isolated pressure and release. In this type of massage for trigger point therapy, the recipient actively participates through deep breathing as well as identifying the exact location and intensity of the discomfort. The results and benefits of trigger point massage are releasing constricted areas in the muscles thus alleviating pain. Swedish massage therapy is the modality that comes to mind when most people think about massage. As the best-known type of bodywork performed today, one of the primary goals of the Swedish massage is to relax the entire body. This is accomplished by rubbing the muscles with long gliding strokes in the direction of blood returning to the heart. But Swedish massage therapy goes beyond relaxation. Swedish massage is exceptionally beneficial for increasing the level of oxygen in the blood, decreasing muscle toxins, improving circulation and flexibility while easing tension. Sports massage therapy is geared toward athletes of every kind, from world-class professionals to weekend joggers. 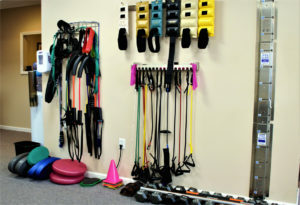 The particulars of the sports massage technique are specific to the athlete’s sport of choice. Focusing on areas of the body that are overused and stressed from repetitive and often aggressive movements. Sports massage therapy can be used as a means to enhance pre-event preparation and reduce recovery time for maximum performance during training or after an event. Athletes have discovered that specially designed sports massage promotes flexibility, reduces fatigue, improves endurance, helps prevent injuries and prepares their body and mind for optimal performance.